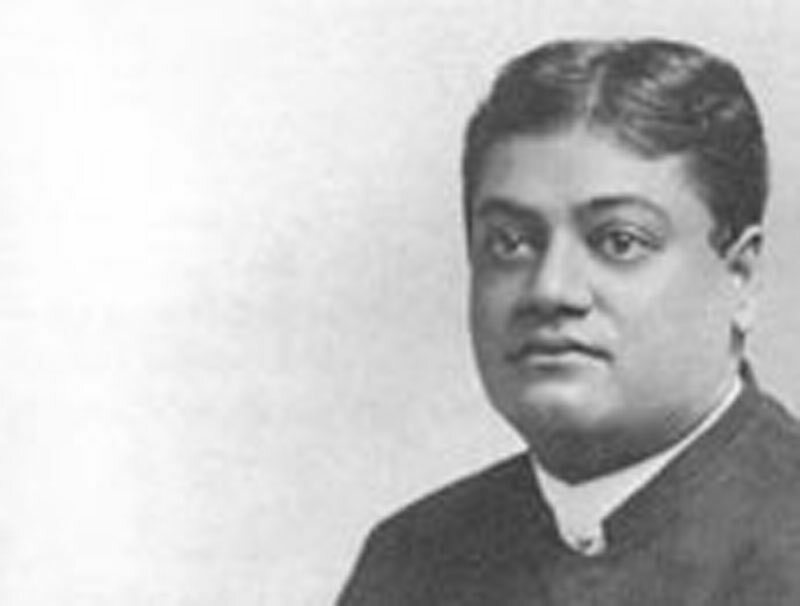 Letters of Swami Vivekananda written en route to America ( 1899) - Frank Parlato Jr. I got your letter all right just now. I have one from M. Nobel of Paris too. Miss Noble has several from America. M. Nobel writes to me to defer my visit to him at Paris to some other date, from London, as he will have to be away for a long time. As you know sure, I shall not have many friends staying now in London, and Miss MacLeod is so desirous I should come. A stay in England under these circumstances is not advisable. Moreover, I do not have much life left. At least I must go on with that supposition. I mean, if anything has to be done in America, it is high time we bring our scattered influence in America to a head — if not organise regularly. Then I shall be free to return to England in a few months and work with a will till I return to India. I think you are absolutely wanted to gather up, as it were, the American work. If you can, therefore, you ought to come over with me. Turiyananda is with me. Saradananda's brother is going to Boston. . . . In case you cannot come to America, I ought to go, ought I not? You see this time I am really out, and hope to reach London in two weeks. I am sure to come to America this year and earnestly hope will have the opportunity of seeing you. I am so materialistic yet, you know! Want to see my friends in the gross body. I had a beautiful letter from Baby [Stella Campbell] before I left. I am soon going to pen a reply to your care, as directed. I could not write her earlier. I was so, so bad in health in India. My heart went wrong all the way--what with mountain climbing, bathing in glacier water and nervous prostration! I used to get terrible fits [of asthma]--the last lasting about seven days and nights. All the time I was suffocating and had to stand up. This trip has almost made a new man of me. I feel much better and, if this continues, hope to be quite strong before I reach America. How are you? What are you doing? Write everything about yourself, c/o E. T. Sturdy Esq., 25 Holland Villas Road, London, W.
Your very, very welcome wire just came. By next Sunday we arrive in London, Albert Dock. We are a party of four: myself, another Sannyasin, a Calcutta boy going to study in America, and Miss [Margaret] Noble. Miss Noble is a young lady from Wimbledon, near London, who has been working in India on the education of girls. Our stay in England will not be long, I am afraid, as this is neither the season nor am I in fit condition to work much. Anyhow, we will be in London a few weeks--at least myself--then go to the U.S. We will talk over all this and infinite things besides when we meet. I do not think even English summer days are long enough for all the chatter I will assail you with. We go to Wimbledon for a day or two, and then I come back to London and find lodgings for myself and make plans. Come to the Dock if that is possible and discreet. Yes, it is discreet, as there is a lady in the party and others will come to meet her. Only, Christina, don't if you feel the least tired or unwell. I hope you are enjoying London immensely. The Orientals do not like any effusion of feeling. They are trained to hide all expression. Is Mrs. Funkey [Mary Caroline Funke] with you? If so, give her my best love. I am much, much better just now. I am really quite another man this time. I was nearly dead in Calcutta when I started, but this voyage has improved me immensely. 23 Crowhurst Rd., Angell Rd. We are in at last. Turiyananda and I have beautiful lodgings here. Saradananda's brother is with Miss Noble and starts Monday next. I have recovered quite a bit by the voyage. It was brought about by the exercise on the dumb-bells and monsoon storms tumbling the steamer about the waves. Queer, isn't it? Hope it will remain. Where is our Mother, the Worshipful Brahmini cow of India? She is with you in New York, I think. Sturdy is away, Mrs. Johnson and everybody. Margo is rather worried at that. She cannot come to U.S. till next month. Already I have come to love the sea. The fish Avatâra is on me, I am afraid — good deal of him in me, I am sure, a Bengali. How is Alberta, . . . the old folks and the rest of them? I had a beautiful letter from dear Mrs. Brer Rabbit; she could not meet us in London; she started before we arrived. It is nice and warm here; rather too much they say. I have become for the present a Shunyavâdi, a believer in nothingness, or void. No plans, no afterthought, no attempt, for anything, laissez faire to the fullest. Well, Joe, Margo would always take your side on board the steamer, whenever I criticised you or the Divine cow. Poor child, she knows so little! The upshot of the whole is, Joe, that there cannot be any work in London, because you are not here. You seem to be my fate! Grind on, old lady; it is Karma and none can avoid. Say, I look several years younger by this voyage. Only when the heart gives a lurch, I feel my age. What is this osteopathy, anyway? Will they cut off a rib or two to cure me? Not I, no manufacturing of . . . from my ribs, sure. Whatever it be, it will be hard work for him to find my bones. My bones are destined to make corals in the Ganga. Now I am going to study French if you give me a lesson every day; but no grammar business — only I will read and you explain in English. Kindly give my love to Abhedananda, and ask him to get ready for Turiyananda. I will leave with him. Write soon. Your letter directed to Sturdy at hand. I am very thankful for your kind words. As for me I don't know what I am to do next or anything to do at all. On board the steamer I was all right, but since landing feeling quite bad again. As to mental worry there has been enough of late. The aunt whom you saw - had a deep laid plan to cheat me and she & her people contrived to sell me a house for 6,000 Rs. or £ 400 and I bought for my mother in good faith. Then they would not give me possession, hoping that I would not go to court for shame of taking forcible possession as a Sannyasin. My food $ c being paid for by the Khetri raja & more than half of that went to the Math every month. Only if Brahmananda spends some in the lawsuit* as I must not be robbed that way--if he does I will make it good anyway if I live to do it. The money which I got in Europe & America by lecturing alone I spent just as I like but every cent I got for the work has been accounted for & is in the Math, & the whole thing ought to be clear as daylight if Brahmananda never cheated me. I don't believe he will ever cheat me. I got a letter at Aden from Saradananda that they were preparing an account. I have not received any yet. I have no plans yet nor care to make any. I neither wish to work. Let the Mother find other workers. I have my burden enough already. I got a lot of news from your letter. My health was much better on the ship, but, after landing, owing to flatulence it is rather bad now. . . . There is a lot of difficulty here — all friends have gone out of town for the summer. In addition my health is not so good, and there is a lot of inconvenience regarding food etc. So in a few days I leave for America. Send an account to Mrs. Bull as to how much was spent on purchase of land, how much on buildings, how much on maintenance etc. Sarada writes that the magazine is not going well. . . . Let him publish the account of my travels, and thoroughly advertise it beforehand — he will have subscribers rushing in. Do people like a magazine if three-fourths of it are filled with pious stuff? Anyway pay special attention to the magazine. Mentally take it as though I were not. Act independently on this basis. "We depend on the elder brother for money, learning, everything" — such an attitude is the road to ruin. If all the money even for the magazine is to be collected by me and all the articles too are from my pen — what will you all do? What are our Sahibs then doing? I have finished my part. You do what remains to be done. Nobody is there to collect a single penny, nobody to do any preaching, none has brains enough to take proper care of his own affairs, none has the capacity to write one line, and all are saints for nothing! . . . If this be your condition, then for six months give everything into the hands of the boys — magazine, money, preaching work, etc. If they are also not able to do anything, then sell off everything, and returning the proceeds to the donors go about as mendicants. I get no news at all from the Math. What is Sharat doing? I want to see work done. Before dying, I want to see that what I have established as a result of my lifelong struggle is put in a more or less running condition. Consult the Committee in every detail regarding money matters. Get the signatures of the Committee for every item of expenditure. Otherwise you also will be in for a bad name. This much is customary that people want some time or other an account of their donations. It is very wrong not to have it ready at every turn. . . . By such lethargy in the beginning, people finally become cheats. Make a committee of all those who are in the Math, and no expenditure will be made which is not countersigned by them — none at all! I want work, I want vigour — no matter who lives or dies. What are death and life to a Sannyasin? If Sharat cannot rouse up Calcutta, . . . if you are not able to construct the embankment this year, then you will see the fun! I want work — no humbug about it. My respectful salutations to Holy Mother. I am in London again. This time not busy, not hustling about but quietly settled down in a corner — waiting to start for the U.S. America on the first opportunity. My friends are nearly all out of London in the country and elsewhere, and my health not sufficiently strong. So you are happy in the midst of your lakes and gardens and seclusion in Canada. I am glad, so glad to know that you are up again on top of the tide. May you remain there for ever! You could not finish the Raja-Yoga translation yet — all right, there is no hurry. Time and opportunity must come if it is to be done you know, otherwise we vainly strive. Canada must be beautiful now, with its short but vigorous summer, and very healthy. I expect to be in New York in a few weeks, and don't know what next. I hope to come back to England next spring. I fervently wish no misery ever came near anyone; yet it is that alone that gives us an insight into the depths of our lives, does it not? In our moments of anguish, gates barred for ever seem to open and let in many a flood of light. We learn as we grow. Alas! we cannot use our knowledge here. The moment we seem to learn, we are hurried off the stage. And this is Mâyâ! This toy world would not be here, this play could not go on, if we were knowing players. We must play blindfolded. Some of us have taken the part of the rogue of the play, some heroic — never mind, it is all play. This is the only consolation. There are demons and lions and tigers and what not on the stage, but they are all muzzled. They snap but cannot bite. The world cannot touch our souls. If you want, even if the body be torn and bleeding, you may enjoy the greatest peace in your mind. And the way to that is to attain hopelessness. Do you know that? Not the imbecile attitude of despair, but the contempt of the conqueror for things he has attained, for things he struggled for and then throws aside as beneath his worth. This hopelessness, desirelessness, aimlessness, is just the harmony with nature. In nature there is no harmony, no reason, no sequence; it was chaos before, it is so still. The lowest man is in consonance with nature in his earthy-headness; the highest the same in the fullness of knowledge. All three aimless, drifting, hopeless — all three happy. You want a chatty letter, don't you? I have not much to chat about. Mr. Sturdy came last two days. He goes home in Wales tomorrow. I have to book my passage for N.Y. in a day or two. None of my old friends have I seen yet except Miss Souter and Max Gysic, who are in London. They have been very kind, as they always were. I have no news to give you, as I know nothing of London yet. I don't know where Gertrude Orchard is, else would have written to her. Miss Kate Steel is also away. She is coming on Thursday or Saturday. I had an invitation to stay in Paris with a friend, a very well-educated Frenchman, but I could not go this time. I hope another time to live with him some days. I expect to see some of our old friends and say good day to them. I hope to see you in America sure. Either I may unexpectedly turn up in Ottawa in my peregrinations or you come to N.Y.
Good-bye, all luck be yours.